This is my hurricane list that I’ve used over the many years of hurricanes we’ve been through. Last year some people went weeks without electricity. I’m thankful that my house miraculously had power when most of the county is out. The following is a list of items that make after hurricane life bearable. Some items may seem unnecessary but in some instances, stores may be closed or you may be stuck in your neighborhood. Also, stores were out of bread for a while, so stock up. medicine- band aids, motrin, first aid box, etc. battery operated fans – lots! ** I also like to make sure all laundry and dishes are clean before the storm hits. I clean floors and vacuum- you never know how long you’ll be without electricity. Have more ideas? Leave a comment. My house is being remodeled and it’s quite frustrating. I haven’t had a kitchen for 6 weeks, my floors are ripped up and all day long I hear jackhammers, workers talking loud and so much dust. Besides that, which is really nothing- when I refocus on the blessings God gives me each day, we recently went through a hurricane, we were happy to be one of the few who still had power but we didn’t have water and when we did it wasn’t safe. Many were without power for weeks, others lost homes and still others are suffering on the islands, the Keys and Puerto Rico. When I consider their destruction and tragedy , I am silent, really…I have nothing to complain about. 2 Cor 5: For we know that if the earthly tent we live in is destroyed, we have a building from God, an eternal house in heaven, not built by human hands. 2 Meanwhile we groan, longing to be clothed instead with our heavenly dwelling, 3 because when we are clothed, we will not be found naked. 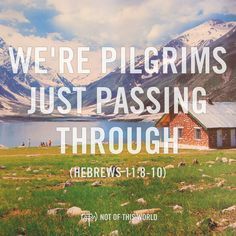 4 For while we are in this tent, we groan and are burdened, because we do not wish to be unclothed but to be clothed instead with our heavenly dwelling, so that what is mortal may be swallowed up by life. 5 Now the one who has fashioned us for this very purpose is God, who has given us the Spirit as a deposit, guaranteeing what is to come. Now I know this can also relate to our earthly body, not our literal house, but it had great impact on me on that moment. Even if my body fails and my house falls apart, I know that this is not my eternal home. God has prepared a place for me and you (John 14) not built by human hands. We have a perfect home in heaven that is being prepared. This home will never be destroyed. Besides all this, God has given us His peace through Christ Jesus. Even in my dusty, noisy home, I can find peace and joy. Though storms, frustrations and fears come, God has given us a way to stand unshakable ( Jeremiah 17:7-8) in faith and filled with peace no matter what we face. There are times in life when it feels like we need to walk through the fire. 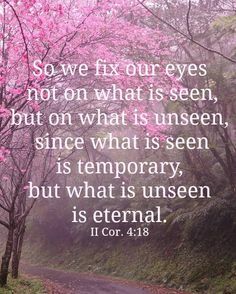 It could be sickness, death, divorce or any other trauma or tragedy but you see….. this is not the end, eternity lies before us and this eternity is clothed with promises of peace for you because of God’s love for you. Why do bad and annoying things happen? There are many reasons and there at times, no reasons. If we look at examples in the bible we see bad things happen when we sin, when we lose our focus, just because we belong to Jesus, a test, or no reason- we don’t have all the answers. This past Sunday I heard Charles Stanley say sometimes things come our way in life to show us some sin in our life we need to deal with or to open our eyes to repentance in order to save our souls that we might live with the Lord forever. We can find peace in our storm. We can find comfort and sometimes, we can find answers. Like the reggae song says, Everything’s going to be all right in Christ. Those word are true, He will never let you down. Last year I was dealing with a lot of head pain after my 3 concussions. Sometimes I could feel fear, worry, anxiety and depression trying enter my space and it wasn’t easy fighting it off. It took a lot of persistence but in all that time, when I laid in bed in pain, I had this strangest feeling that there was truly protection around me. It’s almost as if I could see it spiritually, it looked like a biblical Sukkot tent that was put up over me and there was so much peace and protection. It seemed, like there were wooden sticks set up and a white lined cloth like a tent covering it, and I was in it. I can’t sense it there anymore, but when I felt so bad I thought I would die, it was suddenly up over me. I knew, as if knowledge was imparted to me, that I was in God’s care and I didn’t need to worry anymore. Well, I didn’t know this was going to lead to all this talk and completely got off subject, but here I am. My point today is – we have another eternal home that will never be destroyed. This is wonderful and makes me happy just thinking about it. This earth will one day pass away but every word of God will stand the test of eternal time. Death isn’t forever, like King David once said when his son died, “ he cannot come back to me, but I can go to him”. David knew death wasn’t the end, he was confident he would one day be reunited with his dead son. In another verse Jesus reminds us of God’s words – That He is the God of Abraham, Isaac and Jacob- Jesus said God is God of the living and not the dead. Below are verses that God showed me that really spoke to my heart on my most frustrating of days. God showed me that He has a wonderful home for me and He truly loves each one of you. Trust Him and find His peace. 6 Therefore we are always confident and know that as long as we are at home in the body we are away from the Lord. 7 For we live by faith, not by sight. 8 We are confident, I say, and would prefer to be away from the body and at home with the Lord. 9 So we make it our goal to please him,whether we are at home in the body or away from it. 10 For we must all appear before the judgment seat of Christ, so that each of us may receive what is due us for the things done while in the body, whether good or bad. 11 Since, then, we know what it is to fear the Lord, we try to persuade others. What we are is plain to God, and I hope it is also plain to your conscience. 12 We are not trying to commend ourselves to you again, but are giving you an opportunity to take pride in us, so that you can answer those who take pride in what is seen rather than in what is in the heart.13 If we are “out of our mind,” as some say, it is for God; if we are in our right mind, it is for you. 14 For Christ’s love compels us, because we are convinced that one died for all, and therefore all died. 15 And he died for all, that those who live should no longer live for themselves but for him who died for them and was raised again. 16 So from now on we regard no one from a worldly point of view. Though we once regarded Christ in this way, we do so no longer.17 Therefore, if anyone is in Christ, the new creation has come: The old has gone, the new is here! 18 All this is from God, who reconciled us to himself through Christ and gave us the ministry of reconciliation: 19 that God was reconciling the world to himself in Christ, not counting people’s sins against them. And he has committed to us the message of reconciliation. 20 We are therefore Christ’s ambassadors, as though God were making his appeal through us. We implore you on Christ’s behalf: Be reconciled to God. 21 God made him who had no sin to be sin for us, so that in him we might become the righteousness of God. 22 Then Judas (not Judas Iscariot) said, “But, Lord, why do you intend to show yourself to us and not to the world?” 23 Jesus replied, “Anyone who loves me will obey my teaching. My Father will love them, and we will come to them and make our home with them. 24 Anyone who does not love me will not obey my teaching. These words you hear are not my own; they belong to the Father who sent me.25 “All this I have spoken while still with you. 26 But the Advocate, the Holy Spirit, whom the Father will send in my name, will teach you all things and will remind you of everything I have said to you. 27 Peace I leave with you; my peace I give you. I do not give to you as the world gives. Do not let your hearts be troubled and do not be afraid. 28 “You heard me say, ‘I am going away and I am coming back to you.’ If you loved me, you would be glad that I am going to the Father, for the Father is greater than I. 29 I have told you now before it happens, so that when it does happen you will believe. 30 I will not say much more to you, for the prince of this world is coming. He has no hold over me, 31 but he comes so that the world may learn that I love the Father and do exactly what my Father has commanded me.“Come now; let us leave. I love to meditate and think about Psalm 34. There are so many promises and words of encouragement and hope. It’s a faith builder! 3-The Lord will save you from all your troubles. 4-His angels have been sent to encamp around you. It’s true! 5-The Lord is near to those with a humble hear. BLESSED ARE THOSE WHOSE HOPE IS IN THE LORD. Cursed is the one who trusts in Man, they will not see prosperity when it comes. Do not follow the way of people, do not fear what they fear. Throughout the story of Moses and the Israelite’s, we find many lessons in trusting God. The Israelites complained and worried even though God miraculously saved them with mighty miracles. They easily forgot His power and ability to save them. Punishments for not trusting God ranged from plagues, death, war, sword, consumed by fire to the scariest ever – the ground swallowed them up (Numbers 16). Complaining and worrying is actually acting out in distrust to God. In Numbers 14:28-35, every complaint, worry and word of doom they spoke of, God made happen to them because they spoke it! Watch your words, don’t speak evil over yourself or anyone. I am like a weaned child with its mother; like a weaned child I am content. There are times in our life when we are dealing with matters that are too great for us to bear. It is here were we can have the peace that surpasses all understanding (John 14:27 and Phil 4:7) because we have full faith that God knows our tomorrow. NO amount of worrying can change that. In fact, Jesus commanded us not to worry (Matthew 6:24). So don’t concern yourself with worrying about matters that are too great for you to bear, rest in the arms of your creator, King of Kings and Lord of Lords. I immediately knew and understood that God did not want me listening to or believing bad reports of doom around me. God wanted me to trust in Him, He is the one I turn to, He is the One who comforts me. Why in the world would I fear man’s words – even if they make logical sense and seem right – when I have a great and mighty God who loves me and fights for me? I needed to set my mind right. It’s easy to forget these truths if we aren’t in God’s word every day. Remember His good works, remember His saving power and remember His love for you. Never forget and make a daily effort to remember God’s goodness. But instead trust in the Lord God, He is with you! Put all your hope in Him, you can trust in Him to deliver you. Wait on the Lord, Be silent before Him. Lift up your hands and Rejoice, for the Lord is coming to save you. Everything is going to be alright in Christ. Don’t cower in fear when you hear words from man, watch the news, receive bad news or when your thoughts bring you to the “what if’s”. It’s important to trust God in all things, cast down all imaginations (that’s when your mind wanders- worst case scenarios), and also to fix your mind or make an effort to control what you think (Philippians 4;8). The devil can’t hear your thoughts, but he can throw lies and terror into your mind (those are the fiery darts). Trust God and never give up the good fight of faith. Proclaim the name of Jesus on the Mountaintops and let your life honor the greatness of His name. Fear of the Lord vs. the Fear of man, who do you fear? Faith can move mountains, how can I have this faith? What is grace and how can I be in God’s grace?